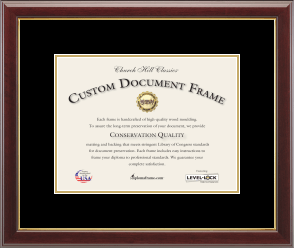 Custom diploma frames for your school. 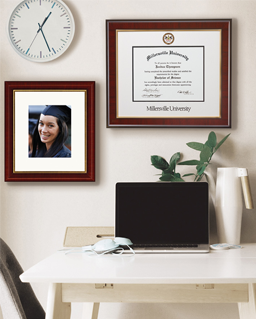 USA-made and handcrafted for you—customize your official college diploma frame today! 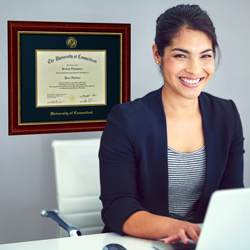 Whether you're looking for a diploma frame with tassel, a campus photo frame, or even a double diploma frame, Church Hill Classics / diplomaframe.com has a variety of degree frames to help you protect and professionally display your Bachelor's, Master's or Doctorate. 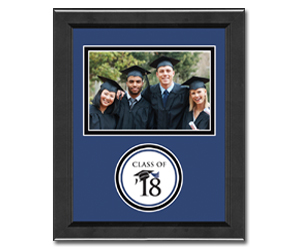 Our college diploma frames and graduation frames make unique, one-of-a-kind graduation gifts! 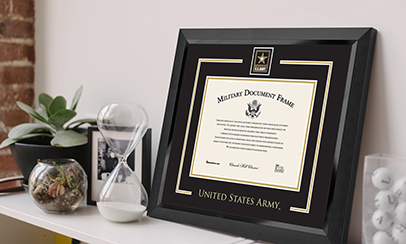 Wondering how to frame a diploma? Search your school above! You design it, we'll build it! 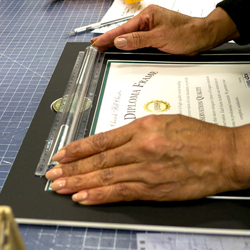 All degree frames are carefully handcrafted by a dedicated team of skilled artisans. 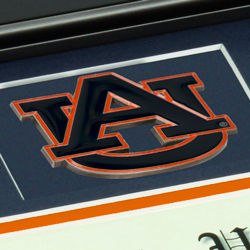 Our licensed college degree frames feature exclusive medallions of official school seals, mascots, and logos. Customize your heart out and order with confidence. You'll love the finished product — we guarantee it! 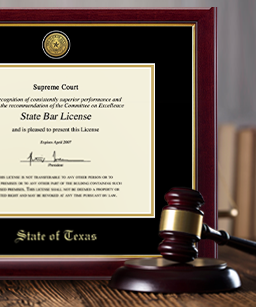 Choose frame, mats, state seals, engraving, and more! School name & seal not included. 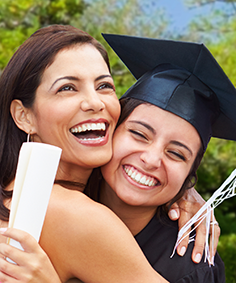 Accent graduation photos with your school color and class year. Showcase special messages and words of wisdom for the graduate. 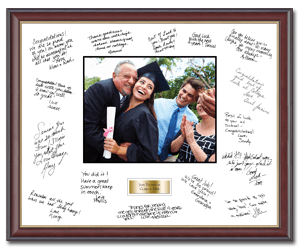 Celebratory graduation frames for their favorite memories!